Mission Outreach Ministry Team (M.O.M.). The Mission Outreach Ministry team prays for God's discernment when we meet to decide how to distribute the contributions we receive from the church through our members. Eleven percent of the congregation's offerings are distributed by this team. Ten percent is given away according to our guidelines; one percent is used for actual mission trips (adults, middle school, high school). We strive for a balance between international, national and local projects. We also encourage actual volunteer work through load-out days at The Midwest Food Bank and distribution days at the Real Life Mobile Food Pantry and other occasions that call for helping hands. Many of our members volunteer at the Real Life Center in other ways such as warehouse organization, data entry and fruit picking at their orchard. 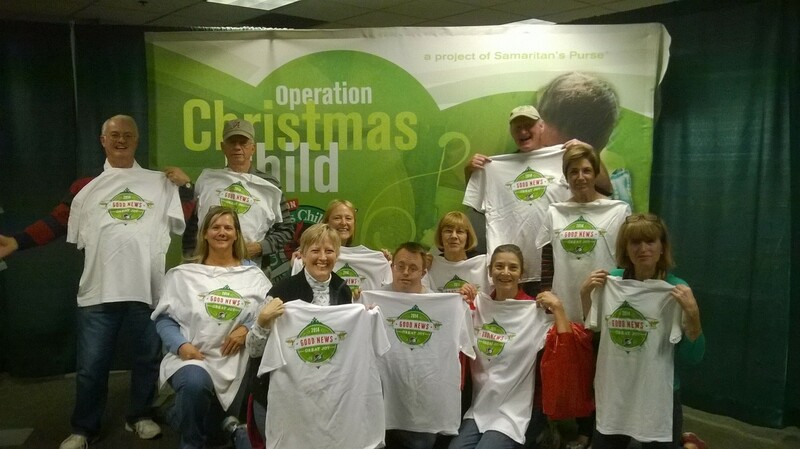 Several members helped with packing shoe boxes for Operation Christmas Child. We all like the idea of getting our congregation members involved too, and you seem to enjoy that as well. We have had projects like the caring baskets for foster parents or the hospital wish list in Honduras where we ask members to bring items. The baby bottles filled with change is an annual event for Coweta Pregnancy Services. We also have projects like the Lutheran World Relief Baby Kits and the Real Life Christmas Dinners where the team brings in the items and the congregation assembles them. This seems to be very popular. We are also thankful to our shoppers who pitch in for these bigger assembly projects to wisely spend our money on the items going into the kits or dinners. We try to be very judicious with our resources. We like to purchase products and give the actual material rather than a check when we are able to do that. We buy diapers and wipes for the Coweta Pregnancy Services in Newnan and detergent for The Real Life Center. However, sometimes a check is the most welcome way to give. We send money to "Faith Comes by Hearing" so they, in turn, can supply our service members with Bible sticks that are specially designed to be taken into combat and listened to when possible. We also support our missionary, Christine Bell, in Honduras with monetary donations to her sending agency. 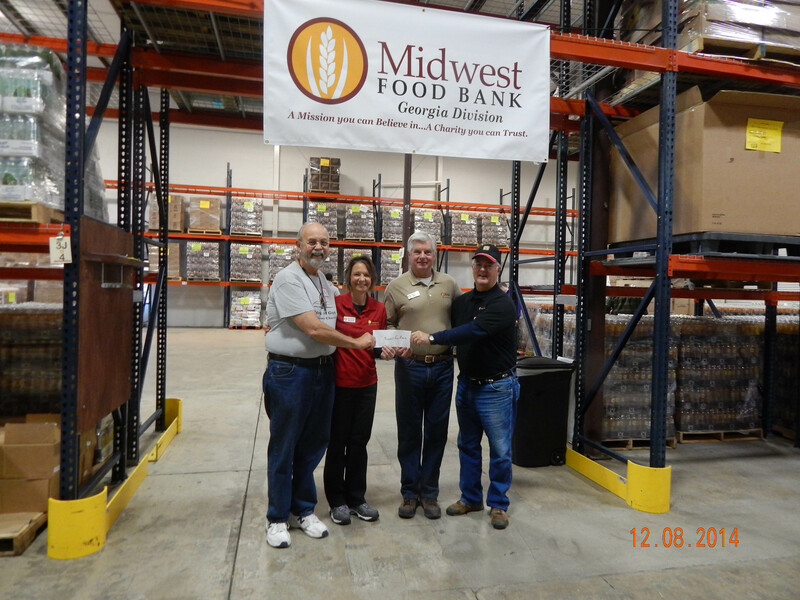 Our donations to The Midwest Food Bank have enabled them to add several more agencies to their list of receivers. We also send monetary help to Global Hope to help with two orphanages in India. 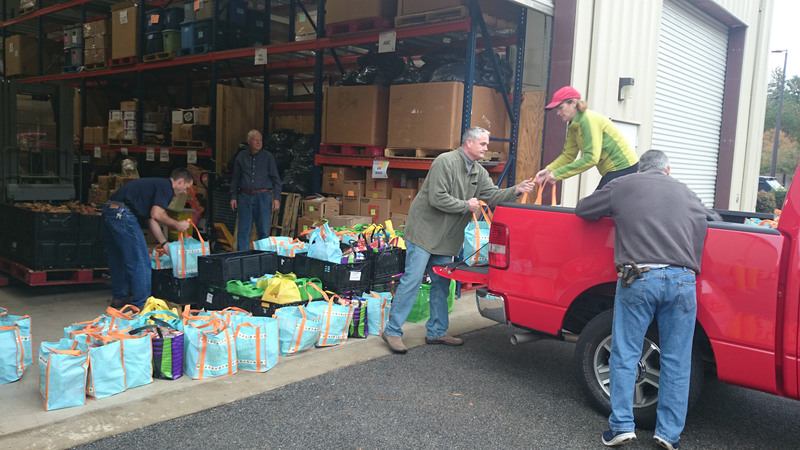 We also encourage actual volunteer work through load-out days at The Midwest Food Bank and distribution days at the Real Life Mobile Food Pantry and other occasions that call for helping hands. Many of our members volunteer at the Real Life Center in other ways such as warehouse organization, data entry and fruit picking at their orchard. 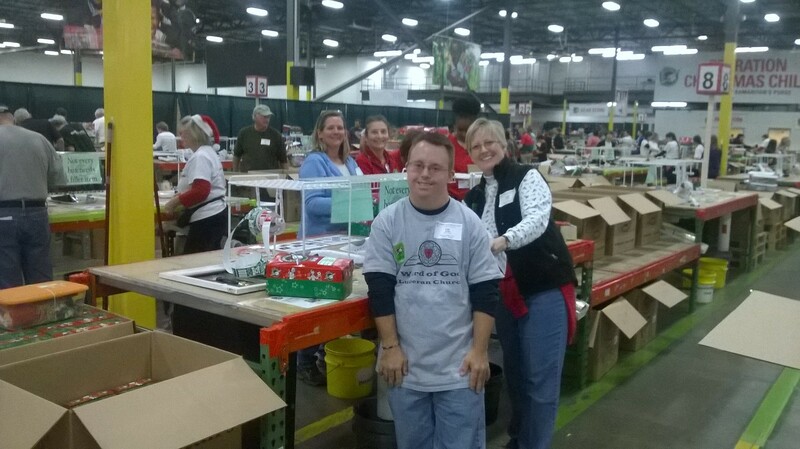 Several members helped with packing shoe boxes for Operation Christmas Child. There are many ways to get involved. The M.O.M. team is always open to suggestions for new projects. Our guidelines do call for a project to be in existence for at least 3 years so we can research their track record. They also need to be Christian based, so that excludes organizations such as The Red Cross and United Way which are secular. We do not contribute more than 15% of our budget to any one project to keep things balanced. If you would like to join the Mission Outreach Ministry Team please let one of us know: Carolyn Lystig, Holly Bowler, Jennifer Griffin, Joe Bowler, Lauren Simmonds, Nancy Ruck and Pam Davis.